When visiting the countries featured on this website, passengers should hold a full 10 year passport that is valid for at least 6 months from the return date. British Passport holders can refer to the Country Guide information on each destination page for visa requirements for the country you will be travelling to. We have appointed Travcour UK Ltd to process visas for our clients on our behalf. Visit www.travcour.com and follow the prompts: Select CTS Horizons from the dropdown menu, select your required country and submit. Tick the box to confirm that you have read Travcour’s terms and conditions, then download the PDF file which shows an order form, instructions on what to do next, and a visa application form. All travellers who want to visit China, irrespective of nationality, are required to apply for a visa. The current fee for a single entry Chinese visa for British passport holders is £96 (charge levied by the Chinese Visa Application Service Centre). Passengers visiting Tibet are required to have a permit in addition to the Chinese visa, which will be forwarded to you in China prior to arrival in Tibet and this cost is included in your tour price. A visa is not required for stays under 3 months in Taiwan. Book an airport lounge with Lounge Pass from just £18.50. Why not start your holiday in style and enjoy the experience of VIP travel. Relax in the peaceful and tranquil environment of a VIP airport lounge where you can enjoy complimentary snacks and drinks, read the newspapers and magazines provided or simply watch TV while you wait for your flight. There are over 130 airport lounges worldwide, including 17 at UK airports: Aberdeen, Birmingham, Blackpool, Bristol, Cardiff, Edinburgh, Humberside, Leeds, Liverpool, London Gatwick, London Heathrow, London Luton, London Stansted, Manchester, Newcastle, Norwich, and Nottingham. Contact our reservations team for more details or to make a booking. For more details click here. The Foreign and Commonwealth Travel Advice Unit provide information about travel to the destinations covered by our tours and extensions. This information is available on BBC Ceefax or on the Internet at www.fco.gov.uk. Alternatively, contact the ABTA Information Department on 0901 201 5050. Calls are charged at 50p per minute. In order to process your booking and to ensure that your travel arrangements run smoothly and meet your requirements, we need to use the information you provide (such as name, address, any special needs etc).We must pass your information onto our suppliers (such as airlines, hotels etc) and other public authorities (such as customs and immigration) should this be required. Please note that the data protection controls in some parts of the world may not be as strong as they are in the European Economic Area. In making this booking, you consent to this information being passed onto the relevant persons. We will not pass any information onto any person not responsible for part of your travel arrangements. You have the right to see any information that we hold on you, contact us in writing to do so. 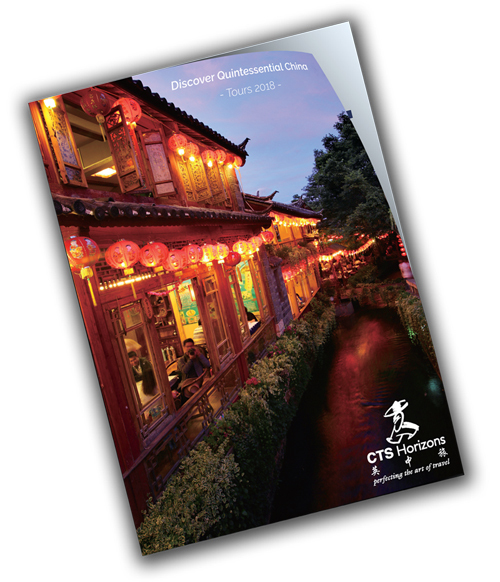 CTS Horizons, is one of the UK’s leading travel specialists in arranging exceptional holidays around the world. We offer superb private journeys and tailor made holidays to many of the world's most fascinating destinations.